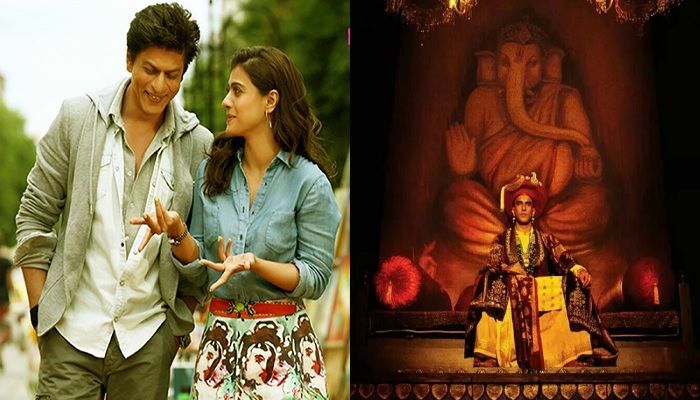 Both Dilwale and Bajirao Mastani opened to good numbers on 18 December. On the second day however, the Rohit Shetty entertainer witnessed a minor drop while the collections of Sanjay Leela Bhansali's period drama grew by a considerable margin of around 20 to 25 per cent. The Shah Rukh Khan starrer-raked in around Rs 20.09 crore on the second day, while Bajirao Mastani collected Rs 15.52 crore. Bajirao Mastani continued to give stiff competition to Dilwale in the Mumbai circuit. In fact, in Pune and a few other places, Bajirao Mastani has performed better than the Rohit Shetty entertainer. The local flavour of Bajirao Mastani, a fictionalised account of the Maratha ruler Bajirao, seems to be a hit in this region. Dilwale, on other hand, continued to do well at West Bengal, Mysore, Delhi, UP and other territories in the North. Both films have quite the ground to cover in order to recover the money that has been spent on production. In order to be profitable both Bajirao Mastani and Dilwale need impressive collections on Monday and a good run through the week - including the Christmas holidays.